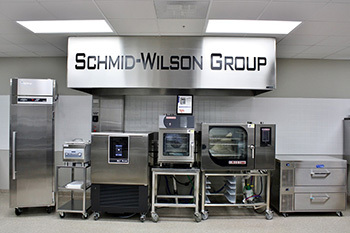 The mission of The Schmid-Wilson Group, Inc. is to provide top-of-the-line equipment to our valued customers. From the beginning of a lead to the final sale, our knowledgeable team members are there for you during the entire process. 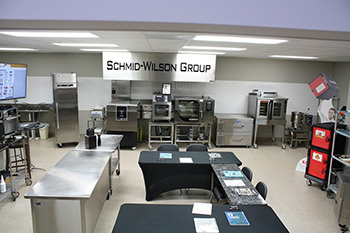 In our test facility, you will find a vast selection of equipment. Throughout the year, many different seminars and training sessions are held there. This gives us the opportunity to bring together your personnel, along with our team, to experience "hands on" demonstrations. You may also bring interested clients to our facility to test their product on many of the pieces. The final goal is to have a 100% completely satisfied customer. © The Schmid-Wilson Group, Inc.